Cultivating a habitat that fosters a well-rounded diet and hardy shelter for your wildlife for years to come may sound daunting, but we have taken some of the guess-work out of the equation. Creating environments likely to attract & keep wildlife is a science. Creating a plot is more than just grain and cover. Establishing quality high protein food plots that deer look for in the early stages of antler production, combined with tall vegetation to provide cover and nesting for multiple species are essential to developing habitats you can count on. Knowing where animals will be feeding, bedding and nesting is the key to any hunt. 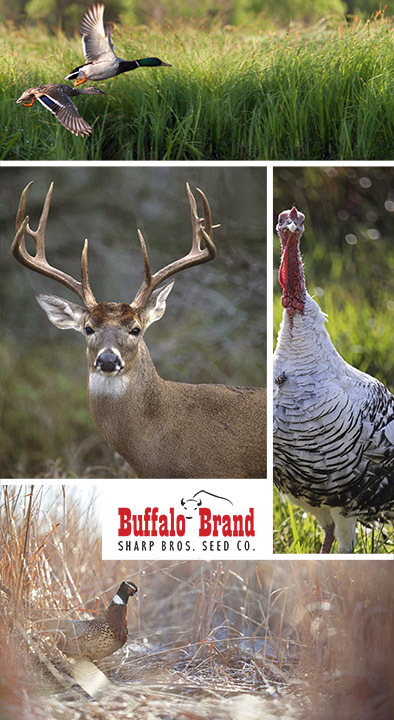 Our custom wildlife mixes and supplements will enhance your hunting ground and hunts to create an unforgettable experience. 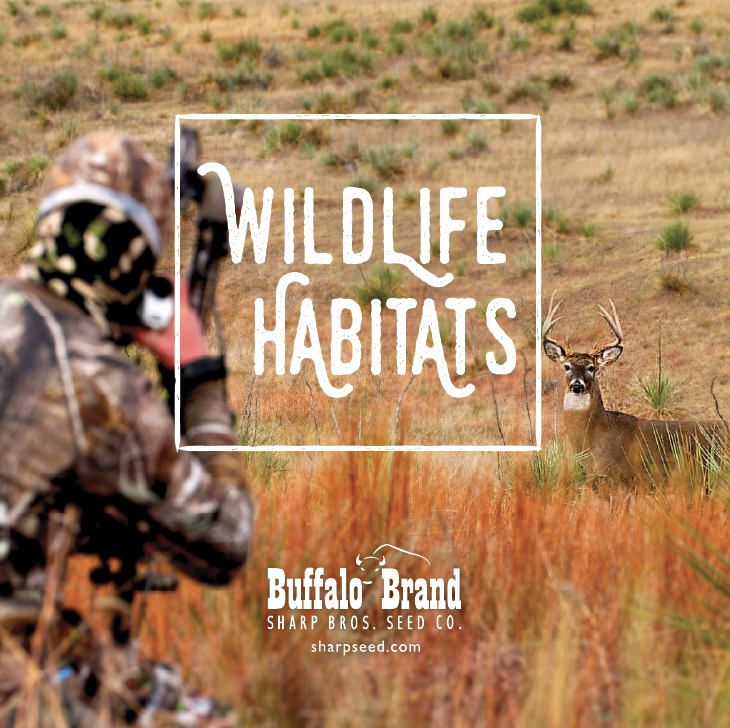 Picking the Mix that fits your needs; each mix is versatile and benefits numerous types of wildlife.